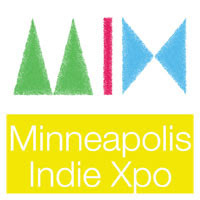 I will be at MIX this year, due to the good graces of Amaya Goldsmith and Caitlin Skaalrud, who are so nice to share their table with me. 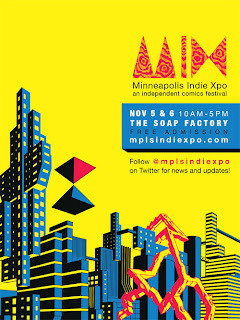 MIX is the independent comic expo here in Minneapolis. Everyone in the local "scene" (barf, hate that term), will be at this event, as well as some artists from beyond. 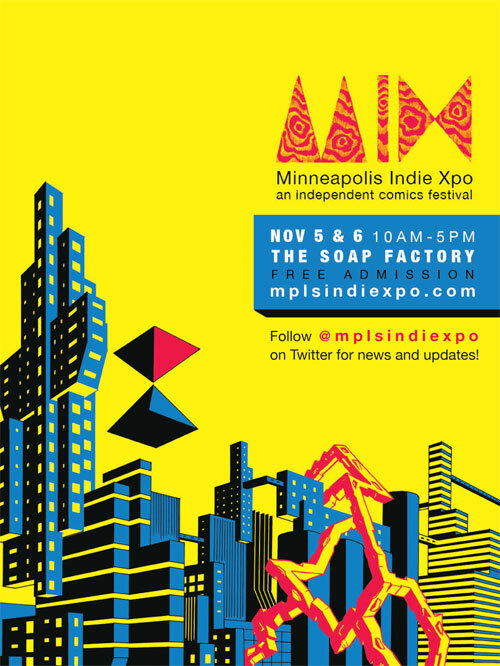 The event takes place in the Soap Factory, and I assure you, it is more exciting than taping together and inflating a bunch of plastic bags. Make sure to bring a jacket. I will have two new products coming out, if drawing, producing and printing all goes according to plan. I will announce the two projects in the next couple of weeks. Oh, btw, isn't that flier awesome? Tom K. did the art. Loving MPLS right now. Okay, thanks.